After a wave of announcements that rolled out from the International Triathlon Union last week, the final piece of the puzzle for duathletes has finally fallen into place: the location of the 2016 World Duathlon Championships. Strangely, the location of the 2017 event actually came out first, during the first wave of announcements. As part of a new ITU initiative, a World Multisport Festival that combines duathlon, aquathlon, cross triathlon and long distance triathlon, the 2017 event will be a part of a week long festival in Penticton, BC. I don’t think I need to say that this is GREAT NEWS FOR CANADIAN MULTISPORT ATHLETES, including duathletes. Having just spent several days in Penticton and doing a race there, I can say that it is a fantastic location for an event like this. And I am sure the thousands of athletes who have participated in the old Ironman Canada and its successor Challenge Penticton will echo my sentiments. Come 2017, no more choosing just 1 Multisport World Champ race. Pack your bags to Penticton, Canada & get your Aqua, Du, AND Xtri on! Now, strangely absent from this impressive list of announcements of last week was the location of the 2016 World Championship event. We had a location for the 2017 and 2018 World Multisport Festivals, the 2018 Grand Final, the 2016 World Cross Triathlon Championships, and a new addition to the World Triathlon Series (Leeds). But no 2016 World Duathlon Championships. I could fill a separate blog post with speculation on why exactly this was, but that’s beside the point today. The point is that we now have a location for the 2016 event: Aviles, Spain. Aviles is an…interesting choice. It’s a town in the north a Spain, a short 25 minute jaunt from Gijon (who hosted the 2011 event). It is also a 3 hour drive from Pontevedra (who hosted the 2014 Worlds) and a 4 hour drive from Segovia (who won the bid for the 2013 event before retracting their bid, forcing Ottawa to step in in the final hours). That’s right…4 times in the past 6 years, a city or town in Spain has won the bid for the World Duathlon Championships. If it wasn’t for Ottawa stepping in for 2013, it would have been pretty slim pickings for North Americans since Corner Brook, with 2012 being in France and 2015 in Australia. A release by USA Triathlon (of which a screenshot is pasted below), the finalist for the 2016 was Oklahoma City…which makes this news sting a little bit more for North American duathletes. This throws a little bit of a wrinkle into the decision making process of North American duathletes. Thankfully, in Canada we are not so hard off as our friends to the south, many of whom have likely paid for flights and accommodations in St. Paul in anticipation of perhaps qualifying for Worlds in Oklahoma City in 2016, only to find out that they will be heading back to Spain. Luckily, up here we have until August and September to make our decisions. Spain is a trek and many who make the trip annually have been there before, so some may opt just to put all of their eggs into qualifying in 2016 in order to race in 2017 (myself included, I’ll admit it). Regardless of where Worlds is in 2016, the 2015 qualifiers still need our support. This group has always supported duathlon in Canada. Always. It seems like every time someone is needed to step up and host Nationals, Esprit is there to do it. The numbers are always great, and it is in an excellent location to draw the best of the best that duathlon in Canada has to offer. Despite the course being a tad slow, the horses always show up and the times are always fast. They’ve never really had issues with numbers, and there is no reason to think they should this year. But in a time when groups that support duathletes are so few and far between, and where races are disappearing like crazy, don’t those that do deserve our support? I think so. I’ll be there in September, and though I can understand that Montreal is a tough ask for many of you with families and careers, I hope you will find a way to join me in “la belle province”. Remember back a month ago? When you were waiting for an announcement on where the Ontario Championships would be? 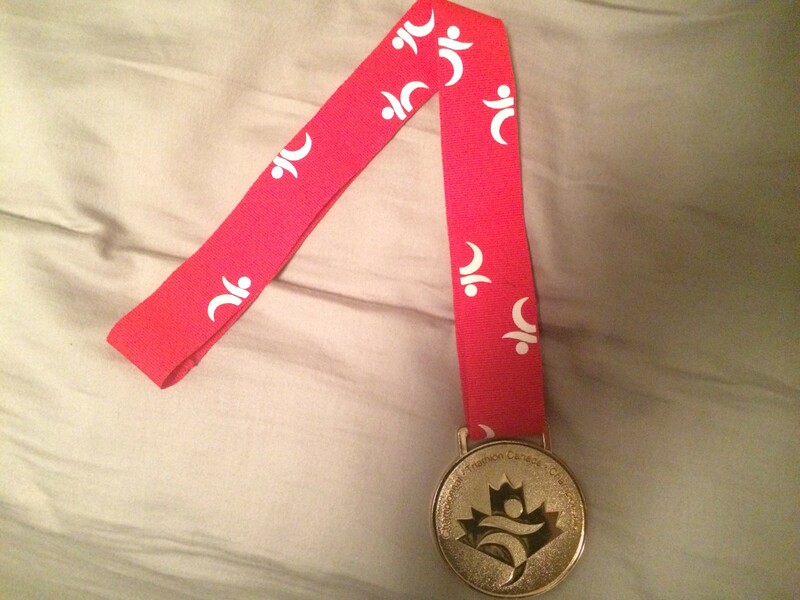 It was a bit frustrating, but lo and behold Triathlon Ontario came through. In a BIG way. From what I have gathered, most provinces and races were just not interested in paying what Triathlon Canada were asking for World Championship spots (espcially for duathlon), and were content to go forward with provincial championships without qualifying spots. So be it. Triathlon Ontario could have done the same…but they didn’t. They kept forcing the issue with Triathlon Canada, and wouldn’t make any announcements until they had their spots, or at least until they were sure that there was no way they could be offered. And guess what? They came through. Bracebridge will have not one but TWO qualifying spots for Worlds in Aviles. That’s a hard work and dedication to athletes that needs to be repaid with the kind of turnout at provincials that will make our governing body proud. The start of the 2014 Ontario Duathlon Championships at the Lakeside Resort. And last but certainly not least is a group that has NEVER stopped supporting duathletes. Ever. Last year the National Duathlon Championships at the Toronto Triathlon Festival drew 97 athletes. So they packed up their toys and went home, and are not even hosting a duathlon this year. 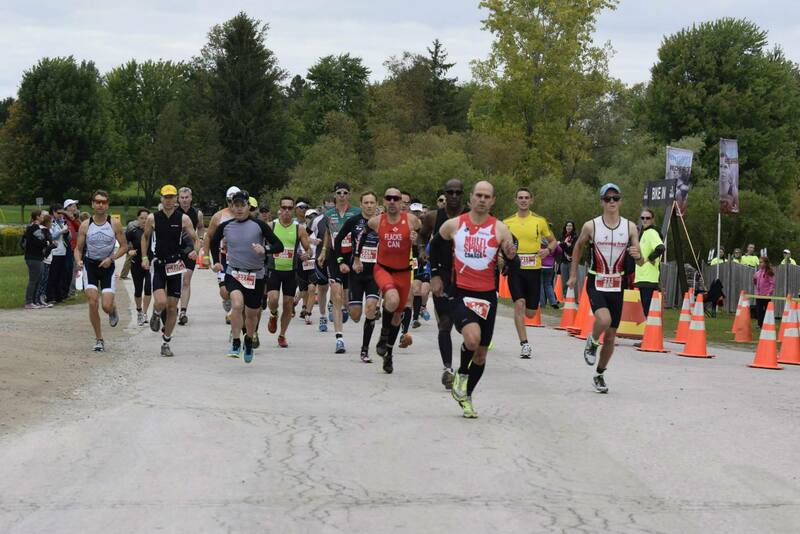 The Ontario Duathlon Championships at Lakeside, hosted by MultiSport Canada, drew just over 40 people. So this year they bid with a race a little bit earlier in the season for athletes, and will be hosting both the sprint and standard race. If that’s not enough support, they also worked with Triathlon Ontario to come up with the “Du the Double” challenge, offering a cash prize to the best of those brace enough to race the sprint on Saturday and the standard distance on Sunday. So if chasing a provincial championships isn’t a draw for you to head to Bracebridge and race, I hope that the incredible support that MultiSport Canada continues to offer to duathletes will be. If airfare didn’t cost as much as I make in a month, I would be there in a heartbeat! There you have it: three groups who have proven time and time again that they go to great lengths to ensure that duathlon is well supported and able to survive. Without them…we may very well not have much of a sport. It definitely wouldn’t be as lively as it is now. Yes, Aviles is a long way to go…but Penticton is going to be a hot ticket for Canadians. Maybe not as hot for Ontario athletes as Ottawa was, but I’m sure it will be close. Penticton really is a beautiful place for a race. And it would sure be a shame if a poor turnout this year is the last straw for these groups who support us so well. Nothing is guaranteed in this world. So please, support those groups that support us and do your best to attend these events so that we can keep going to them for years to come. I’ll be racing the Alberta Championships in July and then flying to Montreal for Nationals in September, and I hope you will too! Being a provincial or national champion is pretty neat too. Don’t miss your chance!